Add this high quality Artistic Weavers Diada area rug to your home for an instant splash of style. Designed for your hallway, dining room, or living room, this indoor piece made from plush wool material looks and feels great. The hand-made construction of this rug makes it high-quality and durable. Upgrade the decor of your modern home with this geometric patterned orange rug. Interior design made simple with this contemporary Artistic Weavers Amanda area rug. Keep it classy, quality, and stylish with this indoor rug made from plush wool material. The machine-made construction of this area rug is sure to withstand wear and tear. This orange rug has a stylish oriental pattern for your modern decor needs. The contemporary look of this Artistic Weavers Middleton Mia area rug adds style to any room. Designed as an indoor piece, its plush wool material will make you feel cozy and comfortable. Its hand-made construction is sure to endure the constant treading of feet and furniture. Maintain your modern home aesthetic with this oriental patterned orange rug. 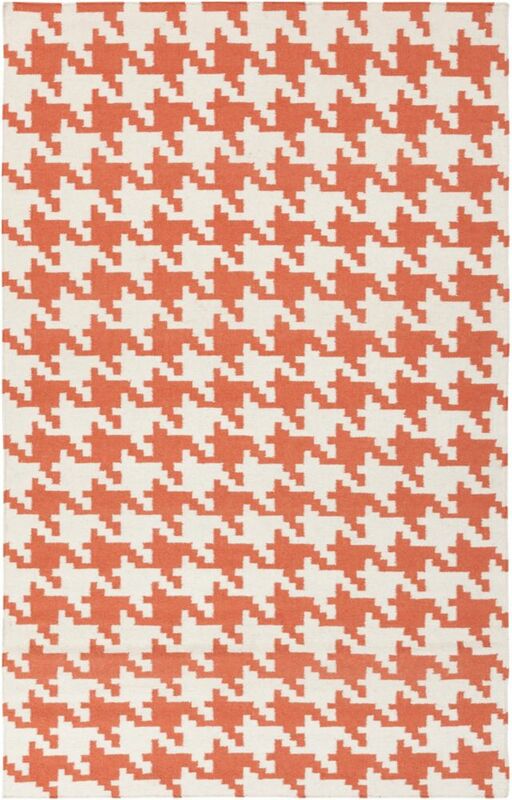 Diada Orange 5 ft. x 8 ft. Indoor Contemporary Rectangular Area Rug Add this high quality Artistic Weavers Diada area rug to your home for an instant splash of style. Designed for your hallway, dining room, or living room, this indoor piece made from plush wool material looks and feels great. The hand-made construction of this rug makes it high-quality and durable. Upgrade the decor of your modern home with this geometric patterned orange rug.